Kapalua Golf is Truly World-Class! 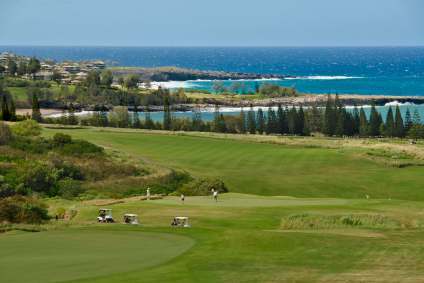 Kapalua: Golf at World-Class Courses Just Like the Pros! 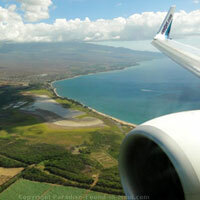 Heading to Kapalua? Golf is the kind of game that fits perfectly into a Maui, Hi vacation! What better place to golf than in a place that is scattered with palm trees, and sports breathtaking ocean views! Golf aficionados will love the pair of world-class 18 hole Maui, Hawaii golf courses: "The Bay", and "The Plantation." Imagine golfing at the very same course where the PGA tour's Mercedes Benz Championship is held! How often do you get a chance to do something like THAT? Well, this showdown is held right here at "The Plantation" - so if you've ever dreamed of golfing on such a course, this will be a dream come true! Another cool fact about these golf courses is that they are both Certified Audubon Cooperative Sanctuaries. If you've never heard of this before, you're not alone! I just learned about it myself! Basically, to acquire this designation, a golf course must show that it is protecting and preserving the environment on and around the course. I think it's great that the golf courses here are not only providing recreation for us, but are being environmentally conscious as well! Firstly, it is very expensive. If you're a budget-golfer like me, you might be a bit shocked at the green fees here. I'm used to paying really inexpensive green fees on the city-owned golf courses where I live... so for me, the hundreds of dollars it would cost for me and my husband to get a taste of Maui golfing at Kapalua is out of my league. But, if you either have a big budget for golf, or just want to splurge, then I'm sure it would be worth it! The second thing you should know, is that they require that you wear proper golf attire. If you're unsure what this means, give them a call in advance to make sure your attire will measure up! Those of you that are hard-core golfers will no doubt see this as obvious. 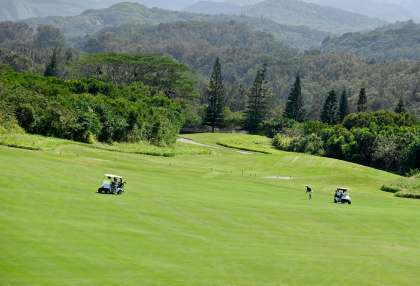 But if Kapalua golf is a splurge for you because you're like me and normally golf at inexpensive city-owned courses where anything goes, this tip just might save you some hassle! 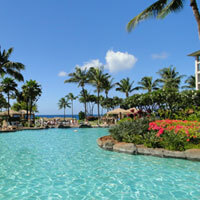 1) Kaanapali Beach Resort's golf courses offer something for all skill levels. 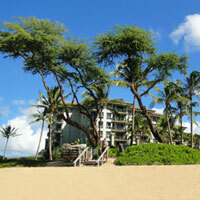 Read all about the Kaanapali Kai and Royal Kaanapali golf courses here! 2) Whether or not you've decided to check out the golfing here, you may be interested in learning more about what the Kapalua, Maui area has to offer! Click here for more info!